Revealed! 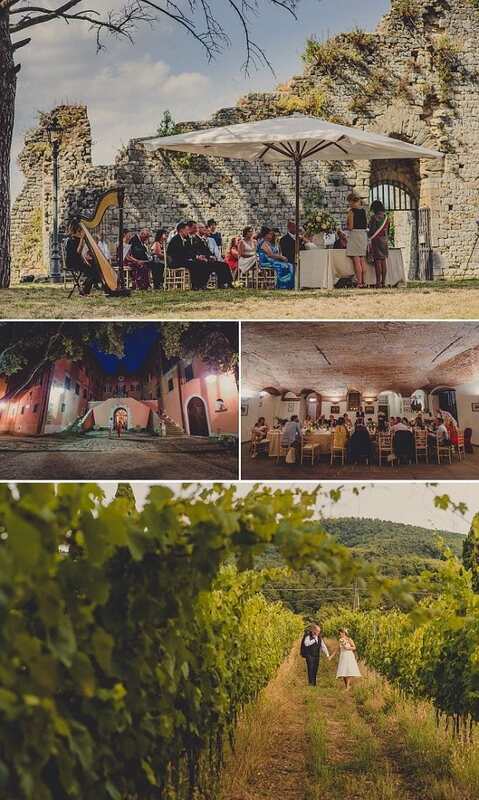 The cost of a wedding venue in Italy plus 10 essential points to consider before you book your venue. So how do you go about choosing a venue that will WOW your guests… but also meets all your requirements and stays within your wedding budget? 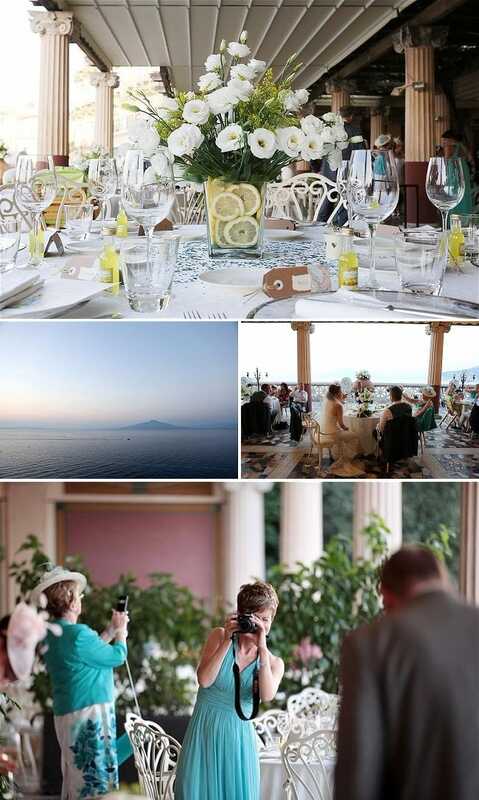 As a general rule, the cost of a wedding venue in Italy will account for 40 – 60% of your total wedding budget. So it’s vital you make the correct choice. Although appearances are important, there are many other (often overlooked) factors you will need to consider to ensure a venue, not only lives up to your personal vision and expectations… but can also deliver the practical requirements that make a wedding run smoothly and successfully. 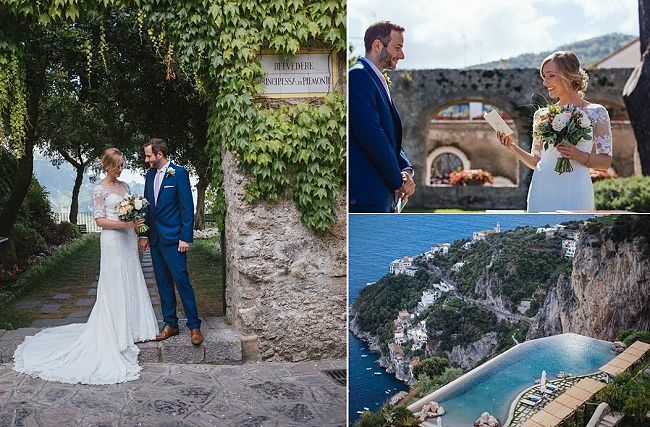 With 10 years of planning bespoke weddings in Italy, Jo Daye from Accent Events provides her expert knowledge and insider tips on how to choose your wedding venue in Italy. 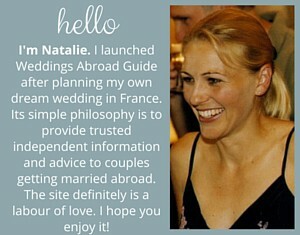 (We think her advice is absolutely brilliant and not to be missed)! 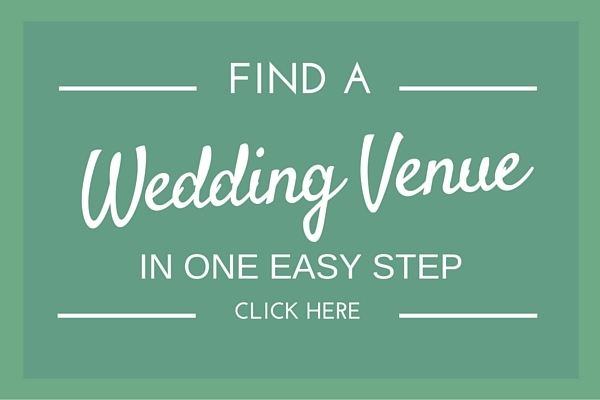 Venue selection has to be one of the buzz-things to do in your early stage wedding planning. After all your wedding venue is is going to feature big time on your wedding day. 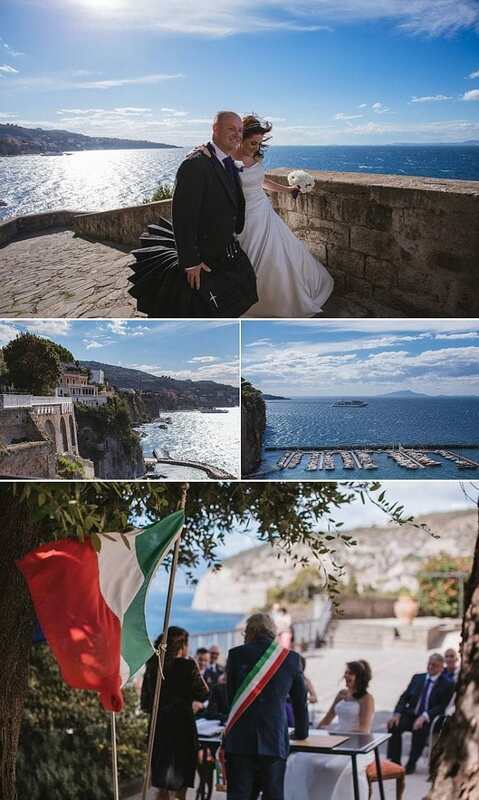 If your destination location is Italy – then booking those tickets and going out as a couple to choose your wedding venue has to be one of the first things to do. If you are a first-time visitor you may struggle with which region of Italy is going to grab your heart strings. 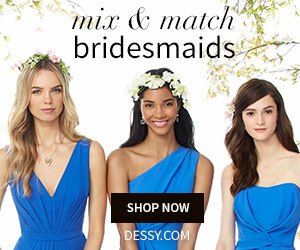 Get out that lovely wedding notebook and get down to making some lists as your choice should reflect both personalities. What words best describe you as a couple, what things do you like to do and where do you feel most comfortable – city, countryside or coastal. 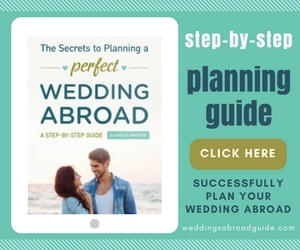 Hit the internet, check out REAL Weddings – the Weddings Abroad Guide website is a good place to start. 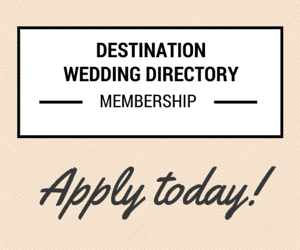 Build your short list of potential venues focus on one geographical area. 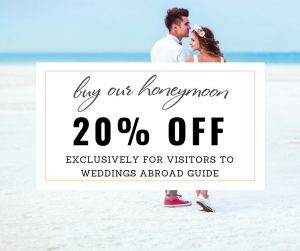 Most couples fly out for two or three days, planning a well timed itinerary allowing enough time to travel between locations, spend time at the venue asking all your important questions and taking time to walk around, if necessary taking lots of photos so you can review at the end of each day. Depending on how much driving is involved we suggest 4 or 5 venues in one day. 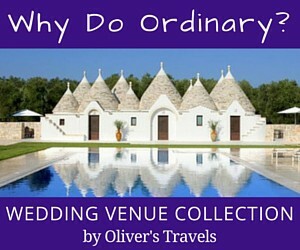 Top Tip: One thing to keep in mind is that the cost of a wedding venue in Italy will vary from region to region. If you would like your budget to stretch that bit further then look just outside of the popular “hotspots”. For example, swap Positano on the Amalfi Coast with Praiano, or Tuscany for Umbria. Are you looking for a venue that can give you the whole shebang – legal civil ceremony, reception and party and accommodation – this will certainly cut out travel from the wedding day arrangements and could be seen as a moneysaver option. 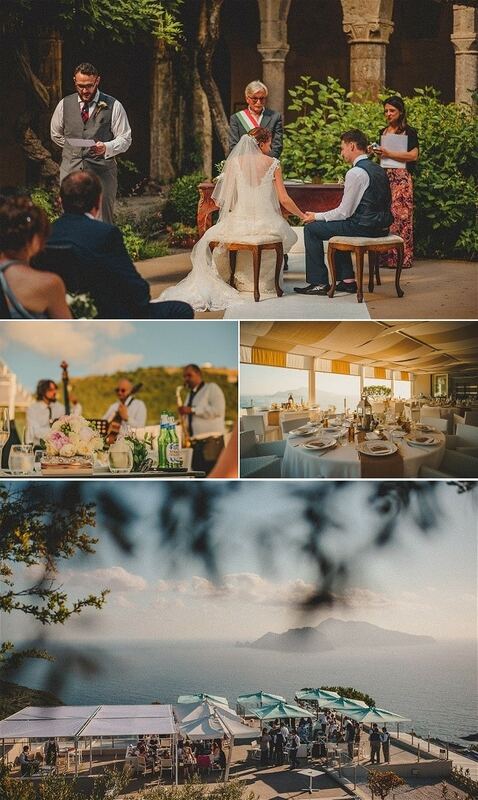 Or if you wish to mix things up for your guests showing off the very best of the dream location in Italy you have chosen you may find yourselves looking at town hall options, reception venues and accommodation. 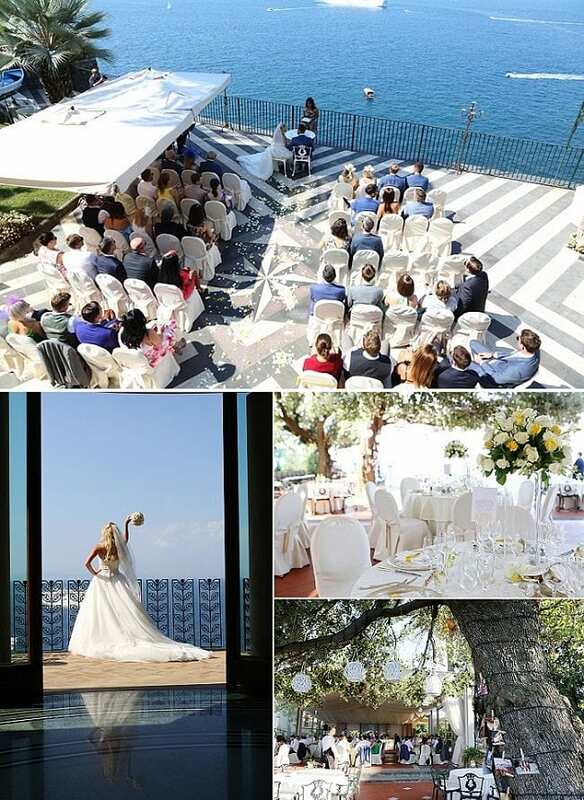 If you are looking for complete exclusivity for part or all of your wedding day then your budget is going to be an important factor, if you haven’t done any research it’s unlikely you will know the cost of a wedding venue in Italy and what is included in the fee. An exclusive country style venue with accommodation may come with a minimum stay of 2 or 3 days with a day rate of 3500 euro. 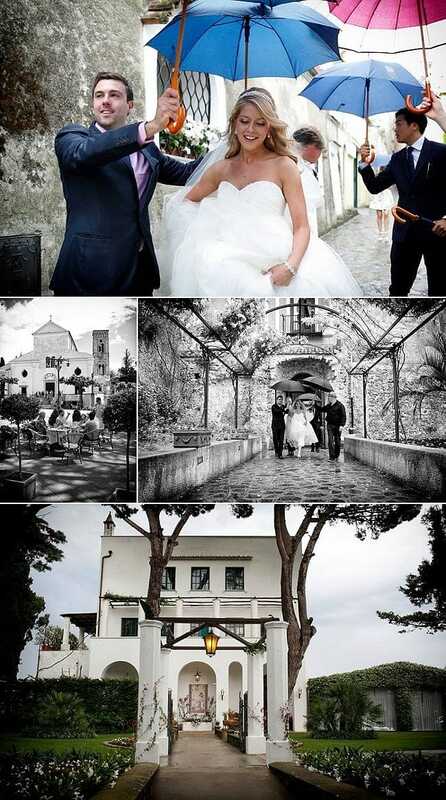 For large weddings a villa hotel with accommodation for 90 guests will have a day rate 9000 euro. The same price could buy you 3 days exclusive use of self catering apartments for 35 guests and if you divide the cost between guests this gives a very favourable per person cost. 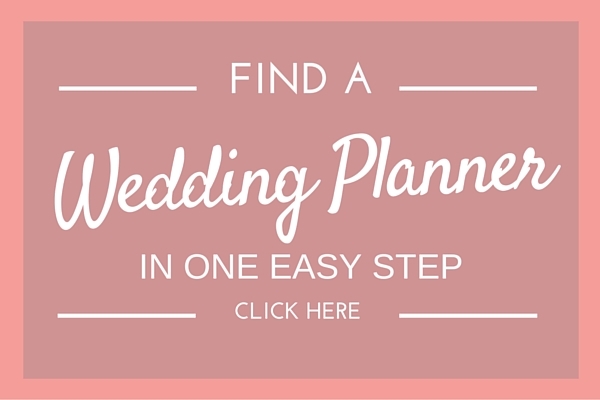 Wedding planners are able to send you a selection of venues within budget, to suit your personal requests and style. Top Tip: Think about your guests – that romantic and rustic country villa may be in an idyllic location with quaint narrow and winding streets – fine for your compact Fiat 500 – possibly squeeze too far for a large coaches. Who wants to see frazzled guests arriving as they have been asked to exit the vehicle. 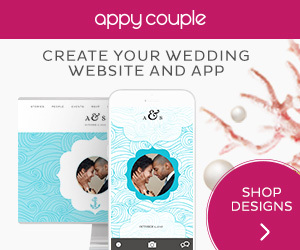 If you like the idea of everyone staying at the one location but do not want to be responsible for putting together an activities and events itinerary to occupy guests for the duration of their stay then an hotel wedding venue is perfect. Hotels will usually have a swimming pool, in-house restaurant, bar, spa facilities, baby-sitting services all available on request by pre-booking or by contacting reception. Not only does this free you from additional planning, it means your guests can decide how they wish to fill their time. 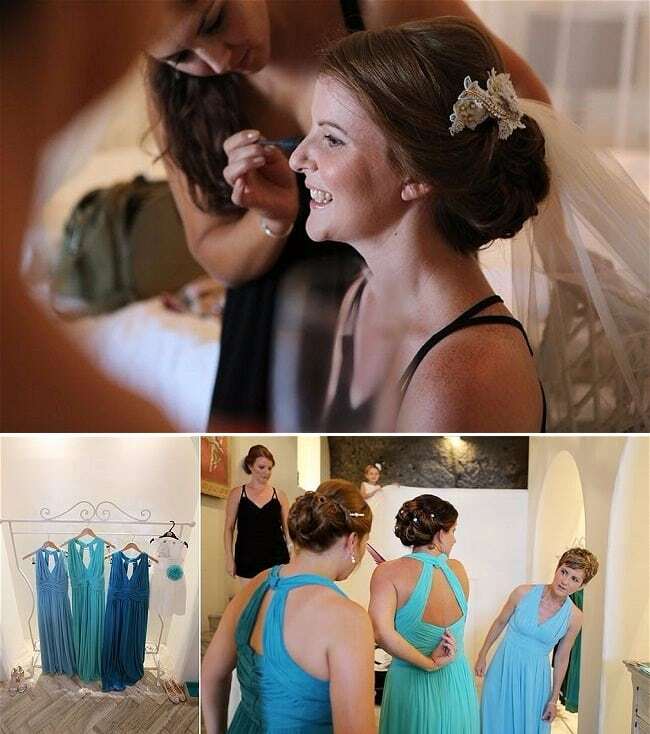 These are often chosen when the two families coming together for the wedding are travelling great distances so quality time together is paramount, no timetables or set hours, you will have freedom to do things your own way. Some extra organisation and planning may be required to ensure all apartments are stocked with essentials so that on arrival guests will be able to grab something to drink and eat. Organising a pizza chef on the first evening is a great ice-breaker, adding a few beers and your welcome party will be a major success and at around 20 euro per person its budget friendly too. Remember that with self catering linen changes may not be so frequent, there will not be a 24/7 concierge, bar or room service. 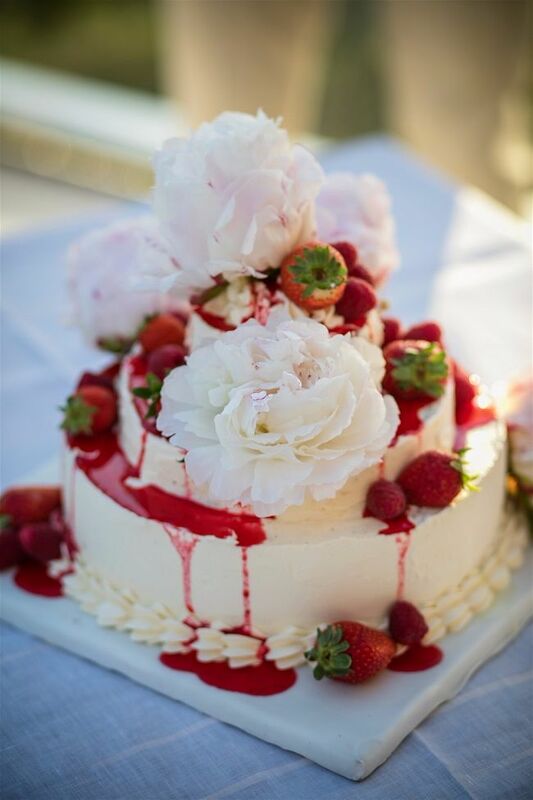 It is likely you will require external catering for the wedding party if hosting the reception at the venue. Top Tip: If you wish to follow tradition and not see your bride/groom on the wedding day then this may need careful planning if everyone is staying at the venue. 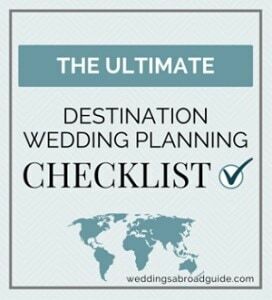 How far is the venue from the nearest airport, civil ceremony location or church, are just the first things on your list in regard to a venues location. Top Tip: Pre-book late night transport from your venue to accommodation as calling up a taxi at short notice will be almost impossible or very expensive. Pre-book even if you are not meeting the transport cost. 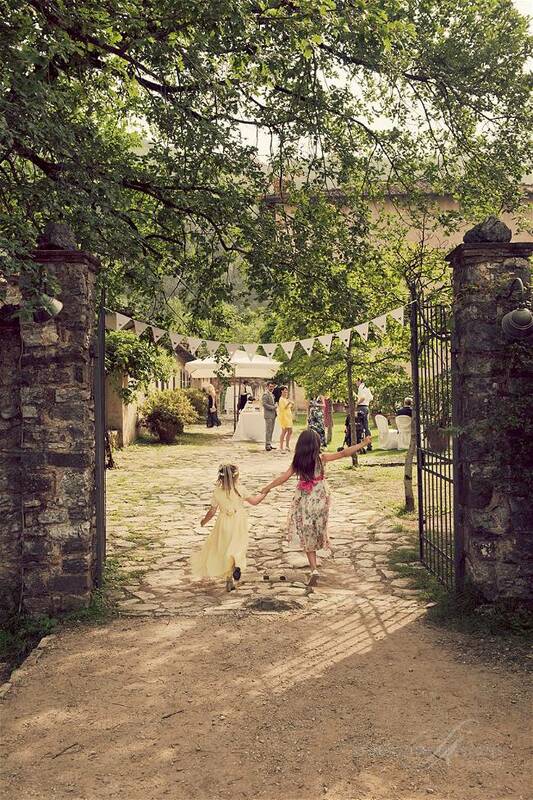 When deciding on your wedding venue check how your requests and communication will be managed. Does the venue have a dedicated wedding or event planner who will be able to answer your questions. Not all venues employ a wedding or event planner so it is likely you will be liaising with the manager or owner of a property. This may be fine during the quiet season or your wedding is 18 months away but when you need or want a prompt response during the peak holiday season you may find your email is not getting the speed of reply you require. 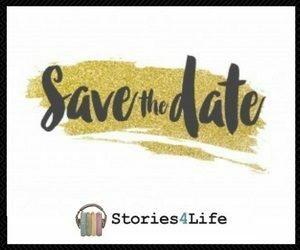 Top Tip: If this is something you feel you will not be able to manage it may be that the venue will recommend a wedding planner or suggest you employ a wedding planner. Does the venue have in-house catering and events kitchen – will you be charged for its use or will all the food and equipment be hired through external catering company. 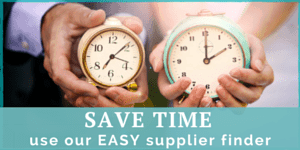 Does the venue have a list of preferred suppliers or are you free to make your own selection and will this incur an extra charge? Not all menus include aperitivi or wedding cake for example. What drinks packages are available. A BYO option often comes with an expensive corkage charge – your 5 euro bottle of wine could incur double that in corkage fee. – it could work out less expensive to organise wine and bar through the venue or caterer. 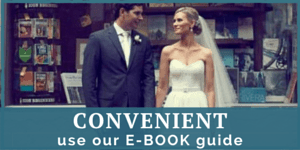 Check the venue rental hire fees and costs, what are the service terms, payment terms and cancellation policy. For example at what time does the venue permit access to the property, a venue may only start service at 7pm for evening reception. If you wish to have an earlier time for aperitivi it may be possible with an additional hourly cost. 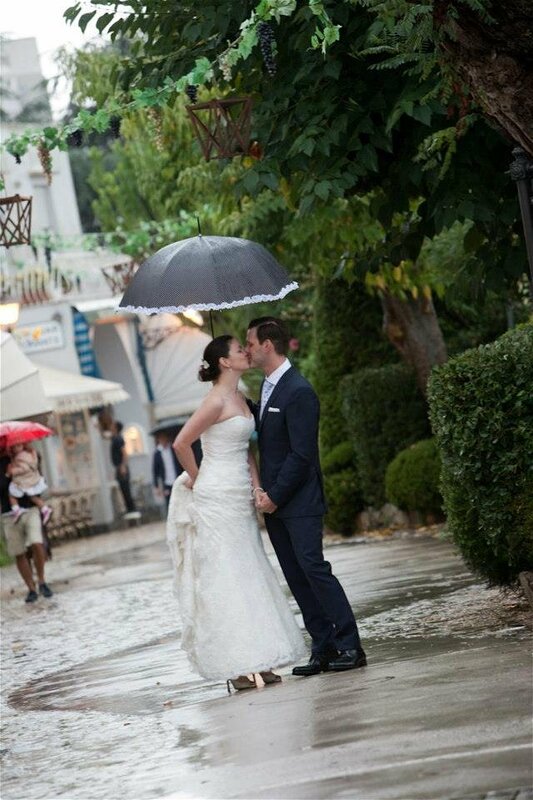 Regardless of your wedding date it is very important that you ask the venue if they can provide a suitable backup option in a case of bad weather. It’s such an important question especially if the ceremony and reception are to be hosted at the venue. How will the weather affect set up, decoration and entertainment if you wish to have a live band or disco? If you are not taking a venue for exclusive use ask how the venue will manage your wedding reception and dining for non wedding guests. Will you be happy sharing space with other diners? Some venues offer exclusive use on a tiered payment structure – the venue hire fee goes up if there a fewer guests and sometimes in can be waivered if you have a high number of guests. Some venues will also impose a minimum stay and will ask for commitment to dine at the venue. One of the top hotels on the Sorrento Peninsula does not take bookings less than 60 guests during the peak summer months for their private terrace. 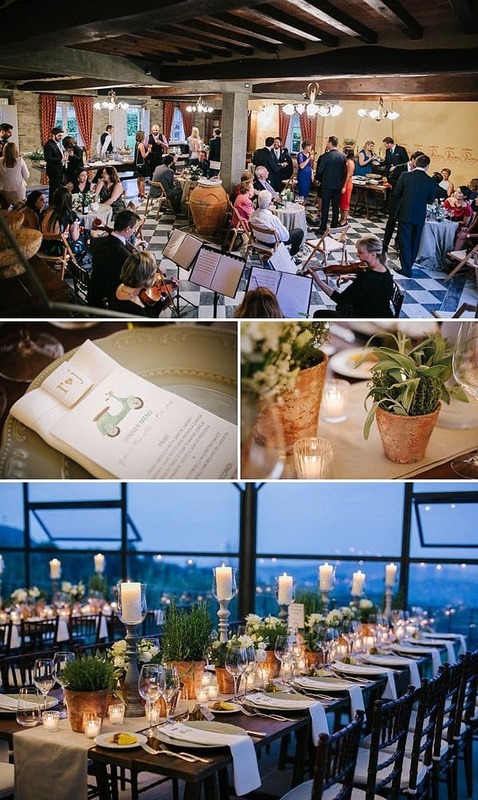 Smaller weddings outside of the peak summer months will be accommodated on their restaurant terrace which comes with restrictions. 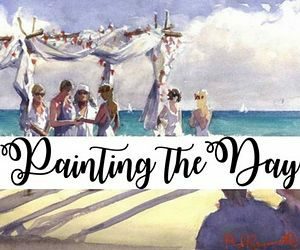 Then there is the wow factor that tingling feeling when you just know the moment you set eyes on a venue – this is the one for you and you will be willing to amend, adjust and adapt your dream wedding to fit with your discovery. Venue visits and location visits are a must – whether you do these on your own or you prefer to have an accompanied venue visit with one of our location specialists (this service is on request) there is no substitute for your own personal experience. 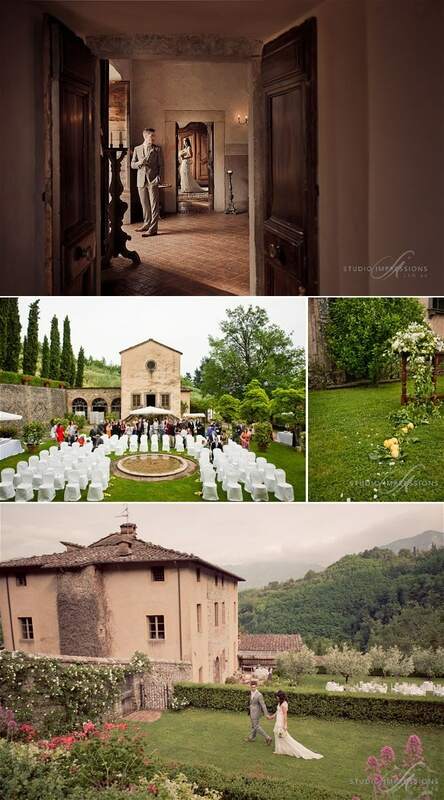 I hope the above information on the Cost of a Wedding Venue in Italy has been a helpful starting point. Before you start planning your wedding it’s helpful to know what venue options are available within your budget, plus the best time to do a venue visit. 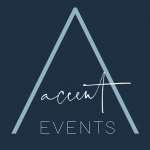 If you would like to plan a wedding in Italy and require further information on how Accent Events can help you, please contact Jo Daye if Accent Events via the contact form here, who will be happy to answer any questions you may have.